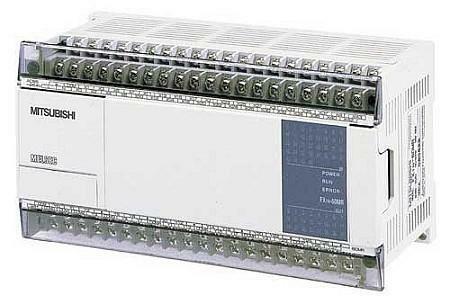 The FX1N combines the benefits of an inexpensive compact controller with the flexible expansion capabilities of a modular control system. It can be expanded for up to 128 inputs and outputs and with a comprehensive range of special function modules.The FX1N also features a powerful integrated positioning controller. The FX1N's communications and data link capabilities make it ideal for applications where the size of the controller hardware, communications features, special functions and processing speed are all critical. The controllers of the FX1S series deliver outstanding functionality with up to 30 inputs and outputs in a very compact package. The FX1S is ideal for applications in difficult-to-access installations and systems where normal servicing is not possible. The integrated real-time clock and maintenance-free EEPROM with capacity for up to 2,000 program steps make the FX1S an autonomous and very service-friendly system.